The short response is that you probably need to eat more high-fiber foods. A mere 5% of Americans consume enough! The second part of my comment is that not all fibers are the same. Not even close. And that brings me to my third and most important point: We all need to eat a large variety of high fiber foods and other foods containing fiber. Very simply, we cannot get all the types of fibers we need by relying on just a few foods. By the way, January is Fiber Focus Month, but most of us need to put more focus on fiber every month. I’ve just returned from a sponsored meeting where I had a chance to chat about fiber with Julie Miller Jones, professor emeritus at St. Catherine University and a scientific advisor to the Grain Foods Foundation. 1. You probably need more than you’re getting. Only 1 in 20 Americans consumes the recommended amount of fiber. The Adequate Intake is 25 grams daily for women and 38 grams for men. Older women should aim for at least 21 grams, and older men should aim for 30 grams or more daily. Sadly, the average daily intake is only 16 grams. To meet your goal, choose high-fiber foods with every meal. 2. You probably need more variety of fibers. Fibers aren’t the same either physically or chemically. And this is what gives them different health benefits. We simply cannot refer to fiber as a single nutrient. That’s like talking about vitamins as if they all had the same function. Just like there are several types of vitamins, there are several types of fibers. And they are not interchangeable. And it’s more complicated than classifying them as soluble and insoluble. Some fibers are viscous and thicken the contents of our intestines. 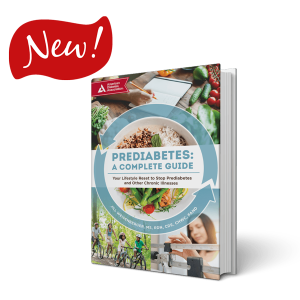 This can be helpful to people with diabetes or prediabetes because viscous fibers slow the entry of glucose into the bloodstream. Viscous fibers also help to lower cholesterol levels. Not all soluble fibers do these things. 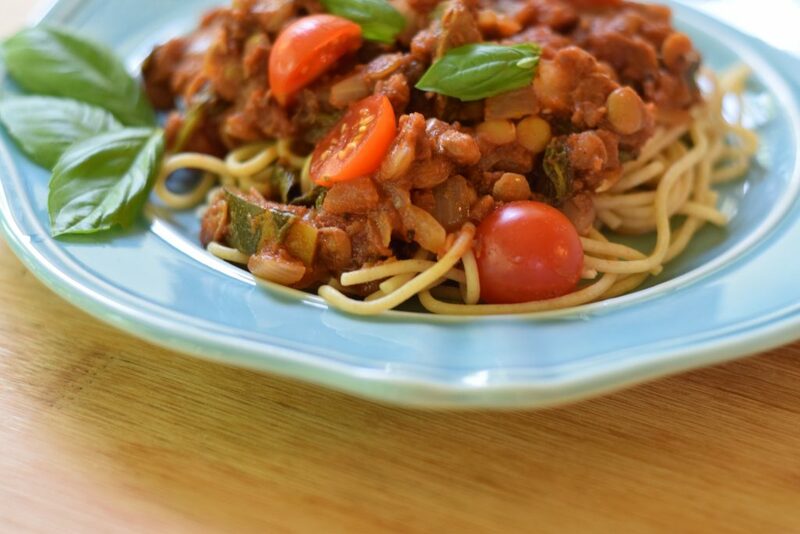 Veggie-Powered Pasta Sauce with Lentils. You’ll really like this recipe. Other fibers are fermented in the colon by the good bacteria living there. Some fibers are fermented a little. Some get fermented a lot, and some are very resistant to fermentation. Fermentable fibers fuel the bacteria in your gut. Fiber is their primary energy source, and these healthy bacteria need a steady supply of food to thrive. Thus, we need to eat a steady supply of fermentable fibers. Just as an aside, the healthy bacteria have lots of functions. They produce vitamins, help us absorb minerals, detoxify cancer-causing compounds, and activate cancer-fighting compounds and other health-boosting compounds. 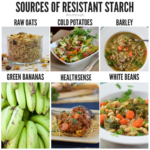 Additionally, during the fermentation process, bacteria produce short chain fatty acids (SCFAs), which have a host of benefits too, including protecting the colon cells and making you more sensitive to the effects of insulin. Still other fibers help in the bathroom by speeding up the the passage of stool and by increasing the weight of the stool. Dr. Jones explained that oats, barley and beans have viscous fibers that benefit cholesterol and blood sugar levels. Bran fibers from grains are the bathroom helpers. Oats, barley, fruits and vegetables feed your gut bacteria. 3. Fiber is a type of carbohydrate. You’ll find various types of fiber in fruits, vegetables, grains, legumes, and nuts. The fiber in carb-containing foods is just one reason that I say yes to eating carbs. Only plants contain fiber. 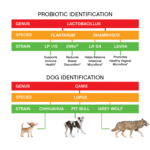 A diet very high in animal protein is typically – though not always – low in fiber. I really do prefer a plant slant diet. 4. High fiber diets are associated with better health. People with lots of fiber in their diets have less risk for developing diabetes, heart disease, stroke, high blood pressure, diverticular disease and obesity. In fact, individuals with the highest fiber intakes are 29 percent less likely to develop type 2 diabetes than those with the lowest intakes of fiber. This is another example of why we can’t just avoid foods with carbohydrates. Dr. Jones also reminded me that fiber from grains is associated with reduced risk of colon cancer, but it’s fruits and vegetables that are credited with staving off cancers of the lung, mouth, pharynx and larynx. 5. Some high fiber foods help manage hunger. It’s a myth that all fibers manage appetite. In a systematic review looking at the short-term effects of fiber on satiety and food intake in healthy adults, researchers found that out of 38 fiber types studied (yes, 38! ), only a handful affected either satiety or food intake at the next meal. A few that showed benefit: whole grain rye, rye bran, oats, barley, Fiber One cereal, carrots and resistant starch. Veggie-Packed Potato Salad has resistant starch from the cold potatoes and a variety of other fiber types. 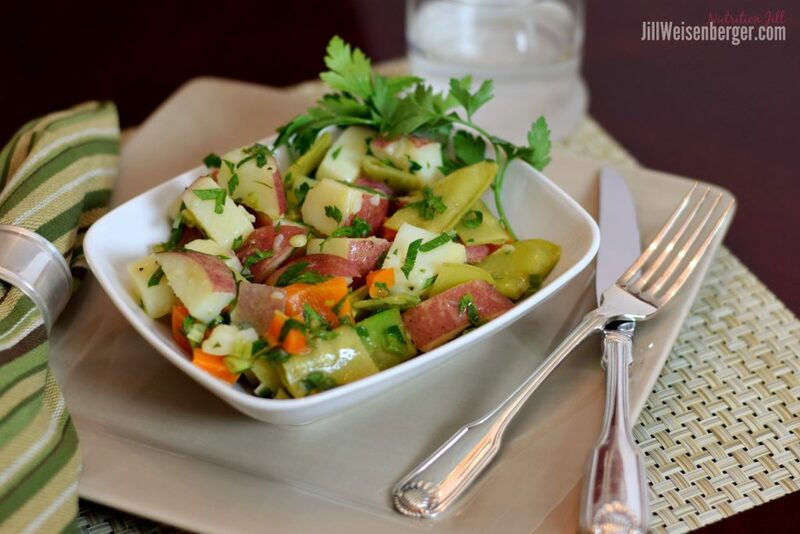 Check out my recipe for this healthy potato salad. 6. High fiber diets are associated with slightly lower body weights. The effect on weight is small, but still meaningful. 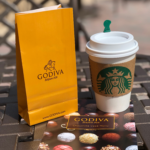 It may be related to the variable effects on appetite and food choices at a later meal (as discussed above), or the weight effect could be from other things. Perhaps filling the plate with fiber-rich foods just means that there is less room for higher calorie foods. Or maybe people who eat lots of high fiber foods work harder at eating healthfully and managing their weight. We simply don’t know. 7. Fiber supplements and foods fortified with fiber are okay. But they don’t substitute for eating a host of high fiber foods and other foods with naturally-occurring fiber. Consumed in excess, some added fibers will cause painful gas and bloating. While this can happen with foods naturally high in fiber too, the likelihood is less, according to the Academy of Nutrition and Dietetics. More importantly, by getting your fiber intake from a variety of food groups and a variety of foods within various food groups, you’re getting more fiber types, more vitamins, more minerals, more cancer fighters and on and on. After aiming to meet your needs with a variety of foods, fill in the fiber gaps with fiber-fortified cereal, cereal bars and supplements. 8. You can get to your fiber goal by eating a few foods very high in fiber and lots of foods with a little fiber. Here are a few foods with their fiber counts. If you’re like most people, you’d benefit by at least doubling your fiber intake. But take it slowly and drink plenty of fluids to minimize gas, bloating and discomfort. Grab some inspiration from these smart trades. For lots of reasons – not just for the fiber – I think it’s a good idea to eat fruits and/or vegetables at every meal and snack and to eat whole grains and/or legumes at most meals. Finally, Dr. Jones points out that fibers – just like vitamins – work together to boost health. That’s why it’s so important to eat a variety of fiber-containing foods. It’s not enough to hit your goal of 25 or 38 grams. You really need the entire spectrum of available fibers. What are some of your favorite high-fiber foods? What tips for boosting fiber work for you? 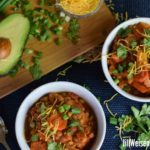 Jill – VERY GOOD straightforward article about the 100s of dietary fibers in our foods. Well done. 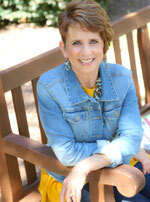 So pleased you got to interview one of the dietary fiber gurus – Dr Julie Miller Jones. She’s one of my favorites! Thanks Hope! She’s one of my favorites too because she knows how to explain science is easy language. Instead of replacing potato, (although the replacement you suggested is good), I would use sweet potato for its low carb high fibre content. What do you think? Thanks for your comment. I love both white potatoes and sweet potatoes. I know that white foods have a bad reputation, but I don’t think this is deserved. For example, the white potato is one of the least expensive sources of potassium, which is an important, yet under-consumed nutrient. Plus, white potatoes and sweet potatoes have very different flavors such that they can’t usually replace one another in a recipe without making other flavor adjustments. 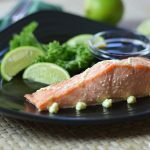 The bottom line for me is that they are both terrific, both nutritious – with different nutrient profiles – so they should both be enjoyed in healthful quantities and when prepared in healthful ways. yummy dishes pictures and i need more recipes for more dishes. Thanks! You can search my recipes to find some you like. 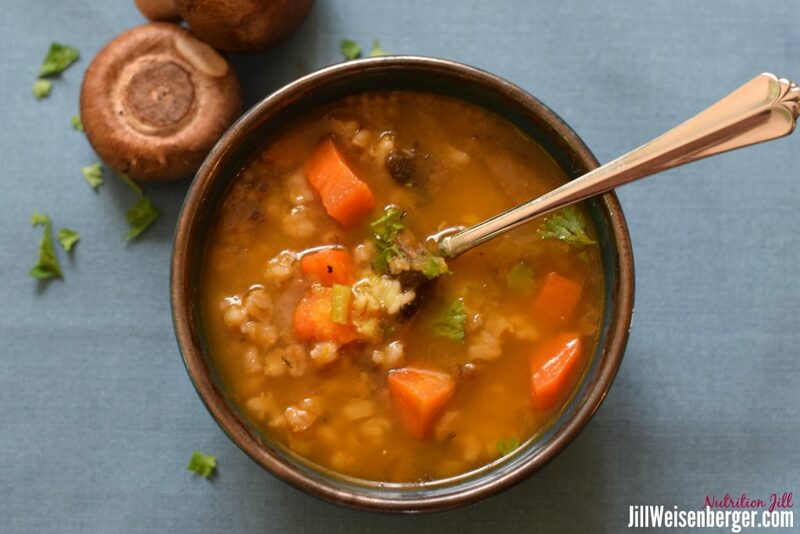 The recipe for mushroom barley soup will be posted next week. There are lots of good recipes out there. I really enjoy the one’s Ellie Krieger does. Actually, I have lots of colleagues who put out terrific recipes. Let me know if there is something specific that you’re looking for.